PHILIP STEJSKAL ARCHITECTURE is an award-winning practice in Fremantle, Western Australia, whose focus is on creating spaces that are uplifting and pragmatic. Our expertise is to bring clever solutions to our client's constraints, by recognising inherent opportunities and facilitating rich outcomes. We offer a full design and project management service for small to medium scaled buildings across all sectors, with particular experience in residential & public architecture. Our ideological starting point is an engagement with the notion of spatial well-being: an insistence that good design can bring about psychological and physiological benefits for its occupants. 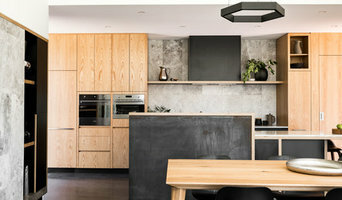 Best of Houzz Design 2015 - Best of Houzz Service 2016 - Houzz influencer Mountford Architects is an award winning practice led by Principal, Ben Mountford. Based in both Northbridge (Perth) and Surry Hills (Sydney). The practice focuses on delivering thoughtful, high quality architectural solutions for new builds (residential and commercial), additions and renovations. Over the past 8 years, Mountford Architects have developed a unique design aesthetic that balances an international sensibility with a regional focus. Ben Mountford and his team are passionate about creating local, timeless architecture, employing sustainable building practices and ensuring that each project interacts seamlessly with the surrounding environment. Mountford Architects has been profiled in local and international design publications and was recently recognised with a second award by the West Australian Institute of Architecture. Their premises at 123 Aberdeen Street operates as a multi-disciplinary hub with structural engineers AJV Atelier and landscape architects, Realm Studios, all collaborating in the one space to deliver the best possible architectural outcomes for clients. Ben and his team offer a range of services from early concept design right up to and including construction completion. Ben is always available to discuss potential projects so be sure to give him a call on (08) 9227 8664. MIKE EDWARDS ARCHITECTURE is an architecture practice located in Perth, Western Australia with a client-focused, innovative and ideas driven approach to design. Focusing on providing design solutions inspired by the best contemporary international architectural ideas and trends through continued professional development, study and travel, Mike Edwards Design aims to deliver to clients the best design response possible to their specific project brief. Our philosophy is to incorporate and maximise sustainable design principles, solar passive design, clean energy solutions, locally sourced materials and businesses where ever possible with a site-responsive, simple and honest design approach. Neil Cownie is an award winning architect who designs buildings that are enduring in quality and responsive to the needs of our fast-changing world – for families, developers, businesses and institutions. He is known for his hands-on approach, an architect who extends his expertise through all aspects of design and construction, trusted at the heart of the process. Neil started his own boutique architectural service in 2009 where his active approach is built upon his considerable professional credentials. As a design director of renowned architectural practice Overman and Zuideveld for over 10 years, many of his numerous projects received industry awards, including RAIA Awards in the categories of Multi-Residential, Institutional, Interior, Commercial and Residential. Unlimited, Neil has designed for a diversity of public and private projects; he is a valued member of the Metropolitan Redevelopment Authority’s ‘Architectural Panel’ and is an A+ member of the Australian Institute of Architects. Architectural trends or a signature style do not restrict Neil Cownie’s designs. Each new project is treated as a unique journey. These are a collaborative team experience in which Neil works closely with his clients, builders, contractors and other stakeholders. Neil takes the time to listen closely and observe how his clients, or their customers, wish to live and work. The results are intelligent spaces and buildings that resonate with his client’s physical, emotional and financial briefs as well as the climatic parameters of their site. Small is beautiful; It’s a lifestyle choice to live lighter in a well designed compact easy space with no clutter. Mark Aronson Architecture is an architecture office based in Perth. We are a recently established design practice with substantial experience in the industry. We are not your usual architects. We are refreshingly different. We create value collaborating with clients, builders, developers, real estate property specialists to realise a better outcome. An intelligent design approach and responsive working style has resulted in a growing body of work that is defined by its originality, diversity, and a social influence that inspires and excites. Since its foundation, MAA’s Residential projects combine clever design values, innovative forms and exceptional functionality. We have an intuitive, educated approach, although not academic. MAA are resourceful, aspirational, energetic and driven. 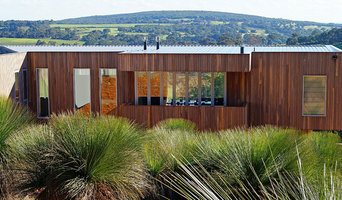 David Barr Architects are located in Fremantle, WA and Canberra, ACT. We are innovators in the field of residential architecture; our award winning projects are testament to the uplifting nature that architecture can have on the human spirit. From the initial gesture of the form to the fine grain of the detail, the consideration of human occupation provides key insights into the work that we produce. We believe in the value of good design. We never lose sight of the importance of creating beautiful spaces that people want to inhabit and use. 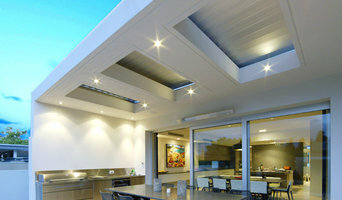 Specialising in: New Residential, Residential Alterations & Additions, Multi-Residential, Interiors. We work with our clients to make architecture that is intelligent and economical, regardless of budget or scale. We believe that successful architecture makes places that add to their community and endure. We specialise in: New Residential, Residential Alterations & Additions, Multi-Residential, Interiors, Small Projects. SAM TEOH ARCHITECTS. A Perth based design orientated Architecture and Interior Design practice established in 1996. We are an enthusiastic practice dedicated to the pursuit of high-quality design with an emphasis on environmentally friendly and solar-efficient designs. Our attention to detail and experience in the building industry ensures innovative and practical solutions. With a commitment and passion for design, we deliver highly efficient solutions, especially dealing with small sites with designs that understand and respond to local conditions as well as consider the environment, with a contemporary proposal. We are recognized for our interpretive ability in taking a brief and translating it to a conceptual design that accurately reflects the client’s ideas and visions, while communicating a sense of sophistication and culture, placing significance on how a building should complement its surroundings and the overall city plan, fortifying the context and becoming a recognized landmark. Suzanne Hunt Architect is a multi-award winning boutique architectural and interior design practice specialising in residential, heritage, tourism and hospitality projects, providing a personalised client focussed service from start to finish. steelehouse architecture is a design focused practice delivering unique solutions to particular client requirements. Primarily experienced in single residential and additions projects. We strive to provide thoroughly considered and environmentally sensitive buildings, within compelling composition of form. Welcome to Odyssey Studios Odyssey Studios is an award winning design studio based in Perth, Western Australia. Our passion lies with residential design and renovation however, we have been known to turn our many talents to cafes, bars, restaurants, interior design, and large commercial design projects. How are we different from the plethora of other architects and designers out there? Besides the fact that we design awesome buildings and spaces, our studio director (Jordan) was a builder for 10 years before moving onto university and a career in architecture and design. Why is this important? This vast experience allows us to foresee any issues or opportunities with the design whilst it is still on paper which will save time, money and a whole lot of stress once the project goes to site. We also have a no ego approach to design. We are very much aware that we are designing for you and we take every care to not only meet but exceed your expectations. So a bit about us and what we stand for… The studio is run by Jordan Walker (lead designer and fun loving adventure seeker) he is joined by Matt Andrews (town planner and king of the volleyball court) and Sam Geale (graduate architect and visualisation extrodinaire). We are a fun and dynamic studio with a passion for creating the very best designs for our clients. We love this city and state of ours but also see it’s shortcomings in terms of housing options available to West Australians. One of our major aims is to create buildings and spaces that are tailored for our clients’ needs and their site. We reject the notion of the “cookie cutter” design and believe that our clients are worth more than this approach. We endevour to integrate our clients’ personalities and desires with high performance/environmentally friendly design. Jean Marie has over thirty years’ experience in the building industry, with particular emphasis on the design and documentation and contract management/administration of engineering and building projects. Holds a degree in Architecture, Building Technology (Quantity Surveying) and Bioconstruction. Has had extensive involvement in the design processes, particularly in relation to architectural/building and urban and industrialised environment studies. Expertise in the various facets of design gained from appointment as project architect to numerous undertakings including new office development; office refurbishment; warehouse development and refurbishment; public and private housing and unit development; educational sector developments; fit-out of new, and refit of existing retail developments; restaurant and hotel refurbishment and fit-out; and major infrastructure and development projects. Experience in design and the building industry encompasses design and design management and administration, building development processes, building control legislation, development and implementation of functional design briefs; project coordination and design team management; contract preparation; documentation and administration; organisational systems; feasibility studies; economic evaluation; data research and analysis; property development; feasibility and investment; consultant and contractor management; project management computer systems; strategic and value management; procurement strategies; project planning and cost control; planning for ecologically sound construction using passive solar design, non toxic and recyclable materials. Small is beautiful; It’s a lifestyle choice to live lighter in a well designed compact easy space with no clutter. Beautiful doesn’t need to be big. Everything has its place. Light and airy in summer, warm and snug in winter. 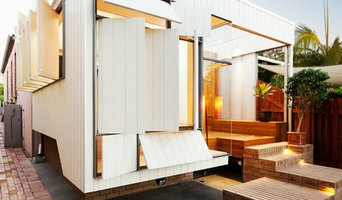 Adaptable spaces that flow from room to room, spaces that merge inside to outside. Timber frame construction combined with ecological material choices and green renewable resources have a low impact on our environment. Designing & Building responsibly Green. Lightweight construction has many benefits: design flexibility low environmental impact cost efficiency durability on-site construction prefabricated off-site A ‘Passive’ house design provides free heating, cooling & ventilation. The principals are suited to smaller lightweight spaces and reduce running costs and lower your carbon footprint. Combining Living Smaller, Green materials, Lightweight Construction and Passive Solar Design, equals Cost Effective Outcomes, reducing your overall building costs and long term running costs. Architect & interiors for residential & hospitality projects. Each project unique and suited to the clients and the site. If your renovation is more than a simple benchtop replacement or roof re-tiling job, then it may be time to find an architect in Perth, Western Australia who can manage your project from start to finish. Depending on the architecture firm you hire, the scope can span from planning sustainable design into your renovations, to selecting furniture and even interior finishes. An architect is often the first person you hire for your project. Before taking steps to find an architect in Perth, Western Australia, ask yourself what you want to achieve from your renovation or home construction. Do you want to improve the liveability and sustainability of your home, or simply expand? What style of architecture do you prefer? Once you have established your motivation, research architects that have completed similar house designs in your Perth locale and within a comparable budget to yours. Ideally, your Perth, Western Australia architect will be involved in all phases of the design process, from the initial concept to the completed construction. Your architect may be needed to select and hire Western Australia subcontractors (e.g. builders, engineers and landscape architects) just as they may need to negotiate contracts with stakeholders. A good client-architect relationship will ensure they are your biggest advocate along the way during construction. Find residential architects on Houzz. 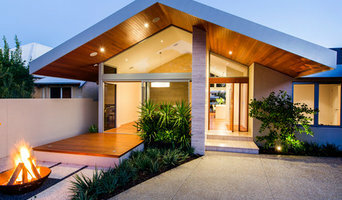 To find the best Perth, Western Australia architect for your home design project, narrow your search to find professionals in Perth, Western Australia. Then browse their latest projects and read reviews. You can also look through photos of projects to find an interior architect or designer who has worked on a project similar to yours.